Adaptive feedback elements enable you to set entire sections or single questions as temporary (i.e., active for a specific period). 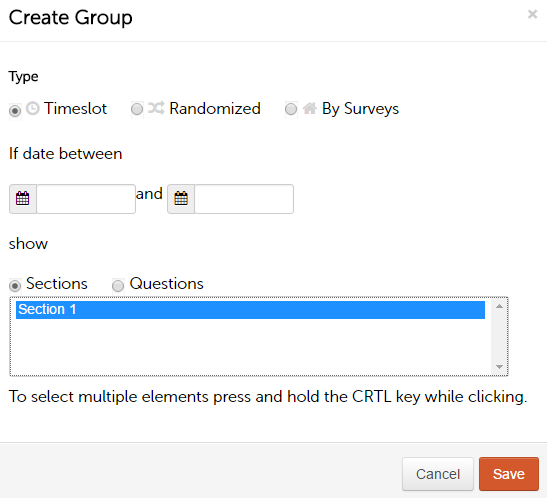 You can also use them to randomize sections or display them based on specific surveys. This allows you to use the same feedback form for several surveys, which also makes it easier to compare surveys and at the same time create individualized questions that are only displayed for specific surveys. To do this, click on “Add” and select the desired options.